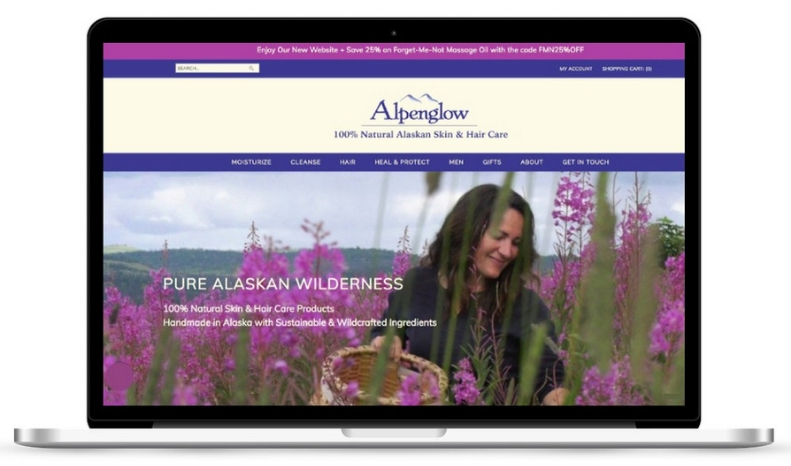 Alpenglow’s products are made entirely by hand - from ingredients wildcrafted and harvested in Alaska. This type of source-to-product skincare company is a rare find and deserved a site to showcase it’s 100% natural products. Working closely with owner Susan, we moved years of effort from their hand-coded site (I was very impressed) to the Shopify platform. Needless to say it was a big improvement to their sales and operations, and customers can navigate their many categories quite easily now. With the new design we created, they can still easily showcase the many wonderful photos they have, as well as display the large number of customer reviews they’ve earned over the years!